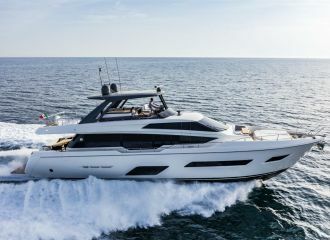 This Ferretti 881 yacht is ideal for a south of France yacht charter, cruising from Cannes to St Tropez or Antibes, Monaco… The yacht has a contemporary look and boasts great sunbathing areas. 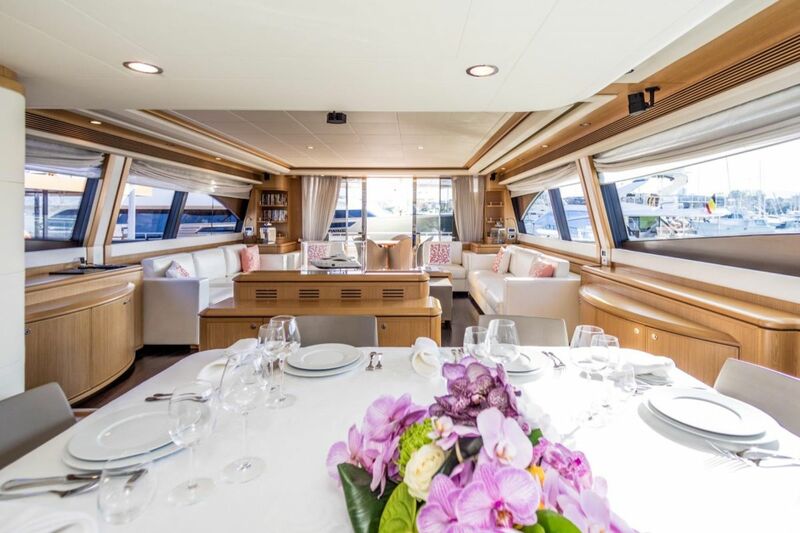 The flybridge is the perfect place to relax and you can enjoy some cocktails in the jacuzzi tub. 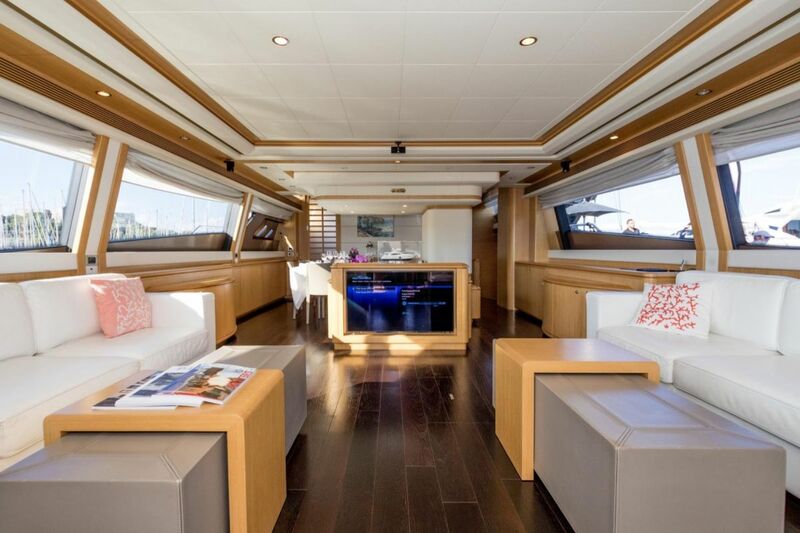 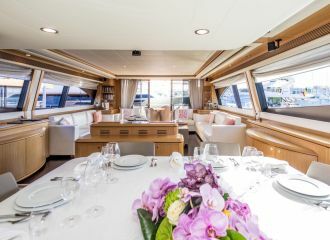 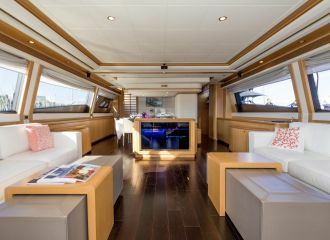 The interior of the yacht is light and airy with a spacious saloon and an enjoyable dining area. 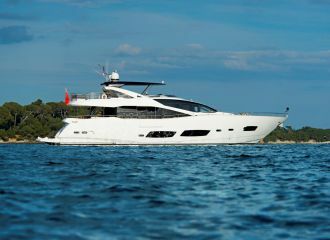 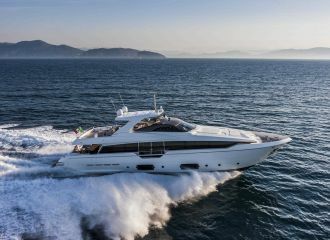 This Ferretti 881 can accommodate up to 8 guests in 4 good-sized cabins. 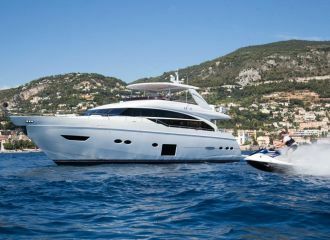 The friendly crew will make your time onboard extra special! 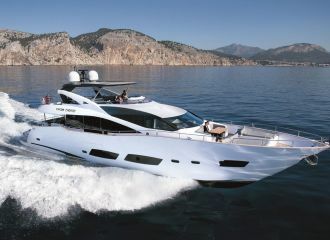 total 8350	€ Excluding VAT and APA ?